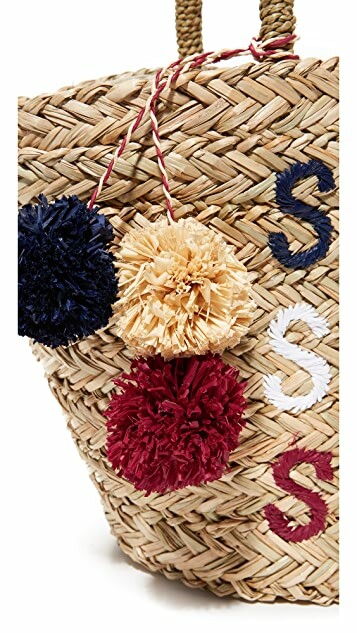 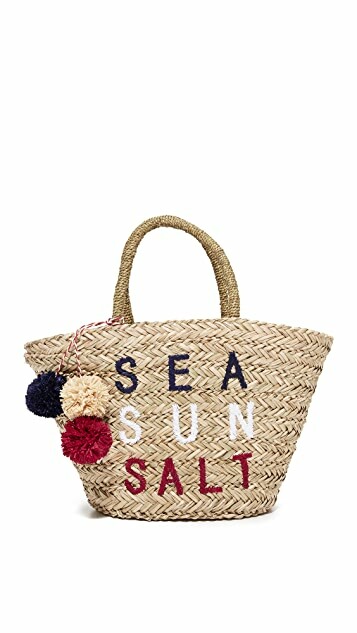 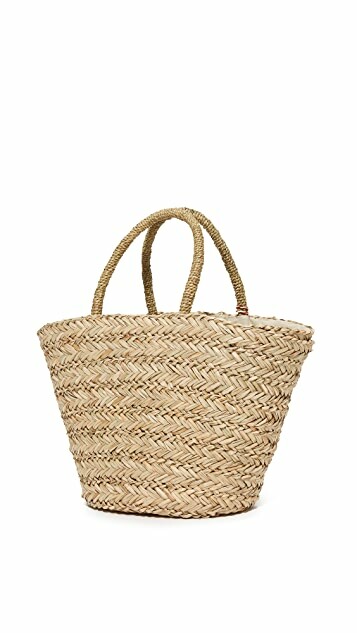 Colorful pom-poms and 'Sea Sun Salt' embroidery adds a playful touch to this large SUNDRY basket bag. 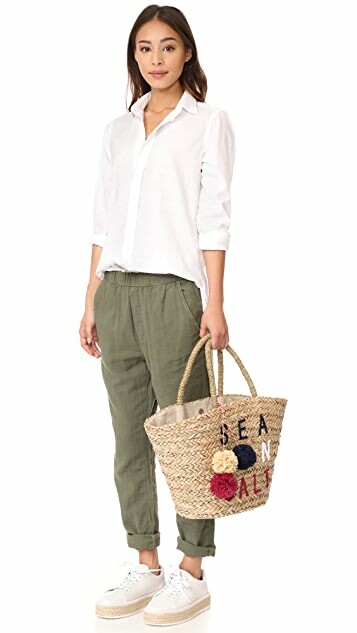 The magnetic top line opens to a lined, 1-pocket interior. 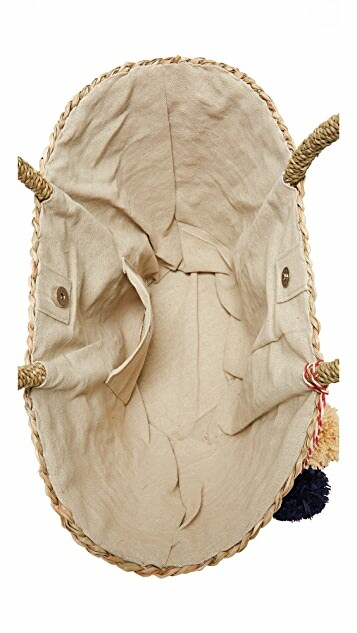 Round top handles.